In the frame of Case study 2: Comparative study on the effect of hydrological regime on the distribution of the invasive diatom Didymosphenia geminata in extreme environments (Icelandic rivers and lakes, and Bulgarian high-mountain lakes), Dr. Vesela Evtimova from the Institute of Biodiversity and Ecosystem Research, Bulgarian Academy of Sciences (IBER-BAS), visited the Reykjavik University and the Elliðaár River catchment, Iceland, between 23 and 30 June, 2016. The purpose of the visit was to discuss and coordinate analyses and data presentation of the Icelandic diatom dataset. In addition some of the sampling locations within the catchment of the Elliðaár River were visited. During the visit discussions on data availability, presentation and interpretation were done. Ways to organise the dataset on benthic diatoms from the seven sample sites in Iceland: upstream and downstream the Elliðaár River, Elliðavatn Lake and upstream and downstream the tributaries Suðurá and Hólmsá Rivers, were investigated. 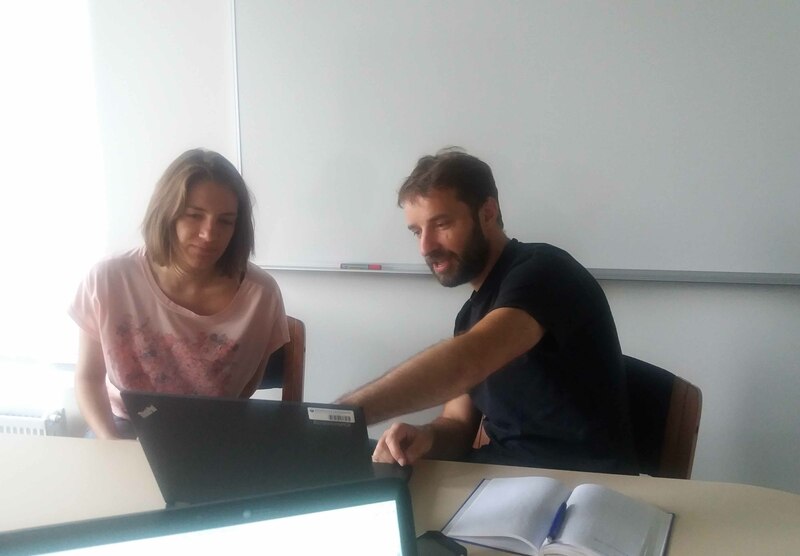 The meetings were attended by Dr. David Finger (Reykjavik University), Dr. Jón S. Ólafsson and Vaiva Čypaitė (the Institute of Freshwater Fisheries of Iceland) and Dr. Vesela Evtimova (IBER-BAS). - Collecting existing environmental data for the studied sites (Icelandic partners).